It’s been a long time since we got any news on Indiana Jones 5, but it sounds like Collider has a scoop. According to the site’s multiple sources, Jonathan Kasdan has been brought on to replace David Koepp for the next entry in the series. 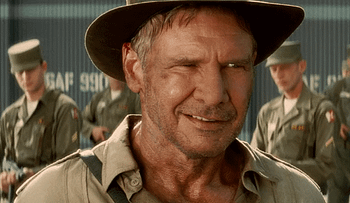 We don’t know that much about Indiana Jones 5 aside from the fact that Disney got Harrison Ford to sign onto the role one more time. Steven Spielberg is set to direct, and production is set to start in April 2019. It’s unclear at the moment if Kasdan is being brought on to do rewrites or create a whole new script, but considering that Koepp was hired back in 2016 to start writing, there’s a good chance it’s a rewrite. Disney knows they need to get this one right, and they aren’t going to risk rushing a project like this. Since this is likely Ford’s last time in the role, they’re going to want him to go out on a high note. At the moment Indiana Jones 5 has a release date of July 10th, 2020. Representatives for Koepp, Disney, Lucasfilm, and producer Frank Marshall did not respond to a request for a comment.